« Too much Zucchini? Share the bounty! In the eyes of our clients – How are we doing? Periodically, we like to know how we are doing and what impact our programs and services have on our clients’ lives. In order to capture this information, we conduct periodic anonymous surveys, asking clients questions on how the help they received made a difference in their lives. 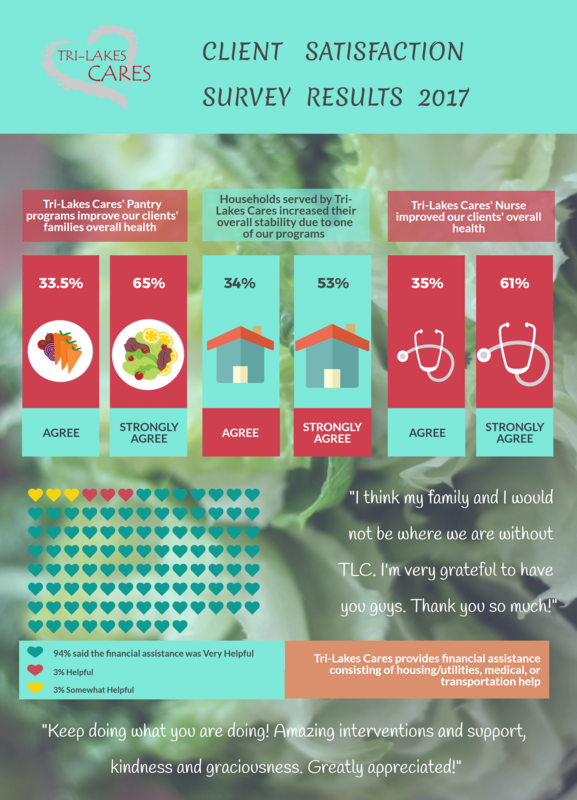 Check out this cool infographic created by Francisca Blanc, our Development Associate, to visually show some of the results from our most recent survey.